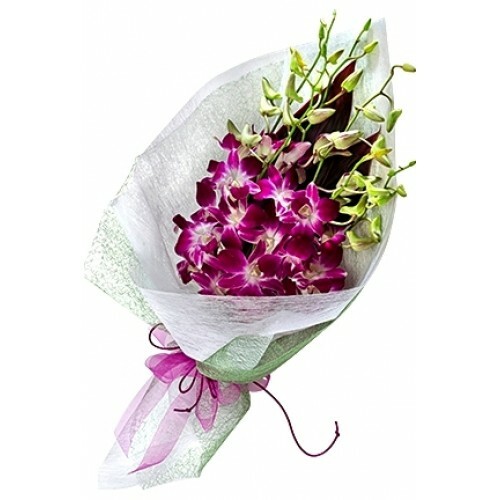 Elegantly wrapped bunch of Beautiful Orchids is spectacular gift to give when welcoming a new born baby. Orchids are available in blue and white. If you require any other color of orchids, please don't hesitate to contact us.